This is Los Angeles band NYDTyson. In long form, their name is Neil Young deGrasse Tyson. This irreverent, hipster smirk of a name matches up well with their quirky, off-beat approach to indie rock. The band is relatively new to the scene, having played their first show in Spring of 2017. 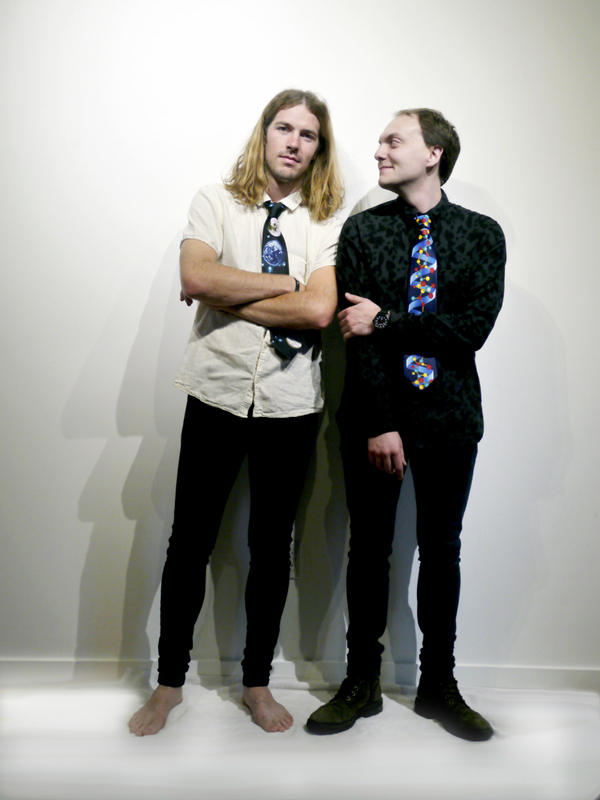 The core of NYDTyson revolves around the songwriting prowess of Eric Radloff and Nick Campbell. They both are alumni of the no longer active Bear Attack. Leaving behind the softer melodies of their previous work and embracing more angular and disjointed sounds, NYDTyson are comfortable wallowing in the awkward stumbles and outsider approach to song writing that are the pillars of so-called indie rock. Picture something like The Breeders but with male vocals. In the same way The Eels are considered original, NYDTyson can take a quaint idea for a song and mold it into something the listener hasn’t heard before, while still painting within the indie rock lines enough to retain a clear sense of ‘song’. 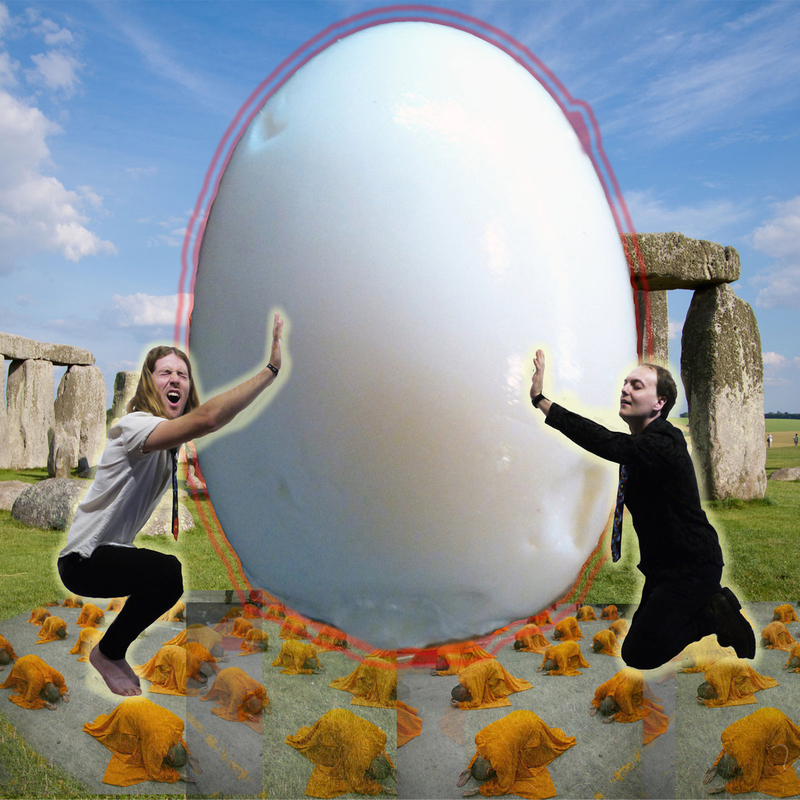 Witness the peculiar opening number with equally quizzical title… “Egg”. The second track, ‘What Did You Say?’ holds down the rock end of their sound, with fuzzed out bass and guitars that are complimented by the pop song structure. For this release, it’s the most straight-forward song, but also one of the more catchy hooks offered. The Pixies knew how to write songs like this. ‘Neanderthal’ continues the wade into distorted sounds pushed by a grungy, stomping tempo. Warbling leads add to the noise which threatens to unhinge the idea with a guttural voiced diversion in the break… only to be caught with a soft save before the whole thing crashes back into its original form. ‘I Think We Both Know’ also mines from the more melodic spectrum and could also have easily been a track from their previous band. Radiohead fans should find a kindred spirit in these softer moments from NYDTyson. There seems to be two confident approaches that emanate from the NYDTyson front. They have the loud, distortion baked swagger that comes natural in the indie rock genre. Their flipside flows in the form of high voiced, sulky and smooth shoe-gazer like adventures that seem hopeful rather than the sullen and sour aesthetic embraced by so many of their sonic peers. NYDTyson feel at home in both modes. On “If You’re So Smart, Why Are You So Sad?” the combination of these two approaches results in an EP that requires a full listen to get any realistic impressions. The band has enough creative spark to earn the title of ‘interesting’ music that can employ both soft melody as well as intentionally disheveled distortions to give some rough edges. The best written analogy would be trying to pronounce the abbreviated version of their name… it’s awkward… yet creative and interestingly different. If you’d like to dive deeper into this release, check out their bandcamp site. Each song is provided with lyrics… a considerate and meaningful inclusion of which more bands should take note. NYDTyson Bandcamp page.